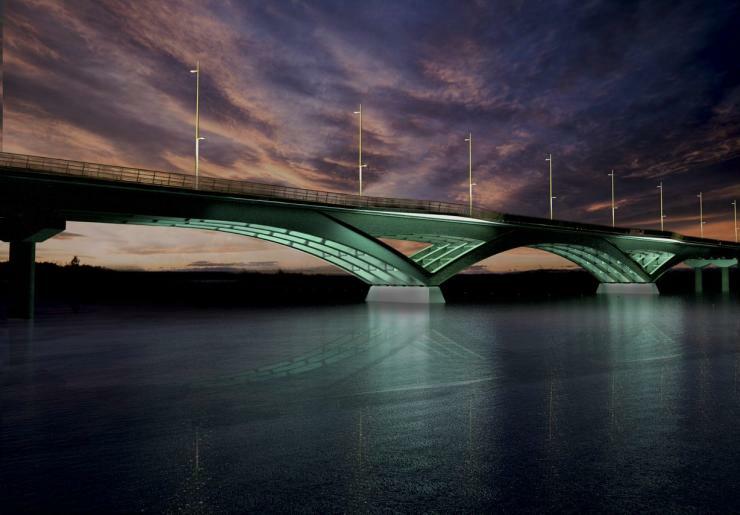 A team of Kiewit, Hatch and Systra was appointed in August 2018 to finalise the detailed design for the bridge and then build it (link opens in new tab). Since then, the project team, including the city, has been working together to develop the design of the Third Crossing. 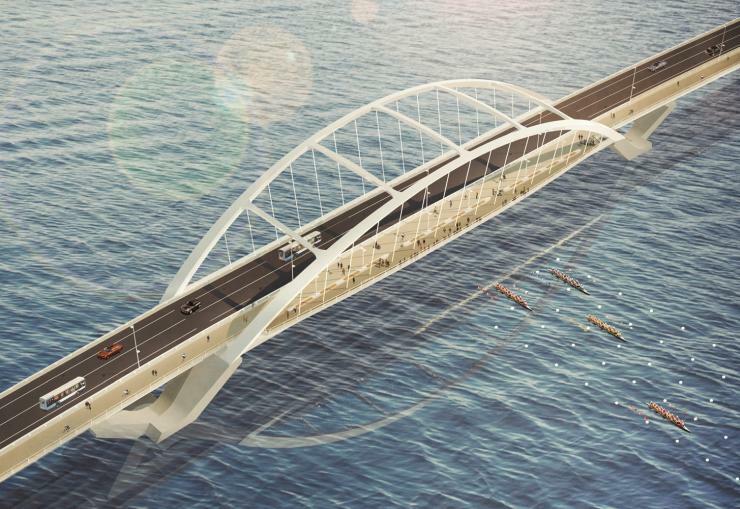 The bridge is the first in Canada to use an integrated project delivery (IPD) model. The city said that IPD has many benefits that the project team is already experiencing, such as full collaboration on design and construction. Keeping the project on time and on budget is a primary goal of the city. In collaboration with the contractor and designer, design changes have been made to ensure the bridge will be built within the budget of US$133 million and be substantially completed by the end of 2022. The new design has arches below the deck. The original design was for an arch above the deck. The project team will bring all of the changes to the public once a final design has been achieved, which is anticipated to happen in the next few months. Residents will have an opportunity to review the design and ask questions to the project team.